Once you've created your SalesSeek account and your data has been imported, the next step is to add your colleagues to your account so that you can all access you data. 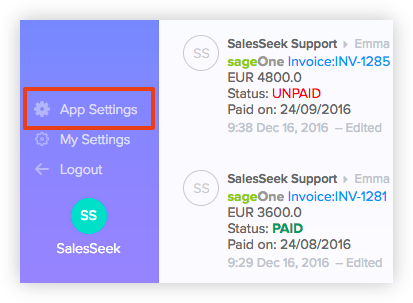 Each new user that you add will increase the cost of SalesSeek by one licence depending on what package you are using. Adding someone is really simple, all you need is their name and email address. Click on App Settings in the lower left corner. 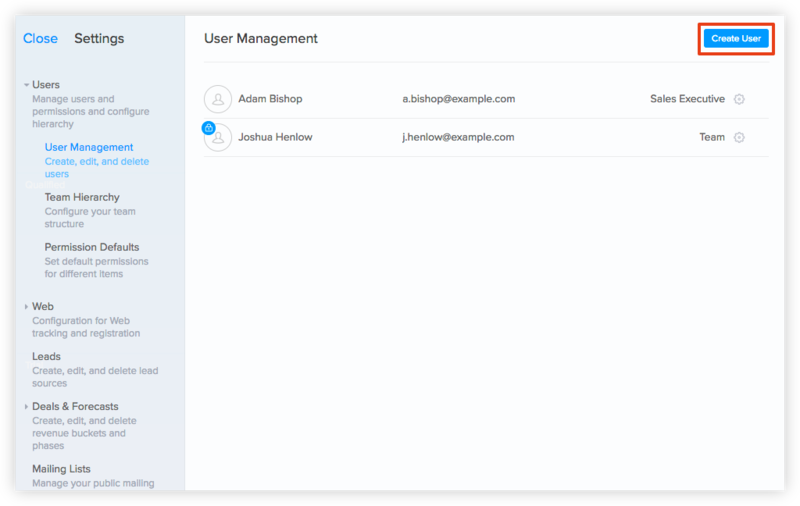 Now go to Users > User Management and click Create User. Add the Full Name and the Email Address of the user you'd like to add. Once you've clicked Save an email will be sent to the email address provided with instructions how to access the account and set a password. Question: How many users can I add? Answer: You can create as many different users as you require. NOTE: if you are subscribed to the Starter package, you will need to increase to Growing after your third user. Question: Will all other users be able to see the funnels and custom fields? Answer: Yes, custom fields and funnels are decided by the administrator visible to all users in the system. Question: How do I change the user's dashboard view? Answer: Do this after you have added the user, hover over 'Team' and click the 'box icon' to change to the desired view. Question: How can I remove a user? Answer: To remove a user you need to click on the 'minus icon' on the right of the user's record.